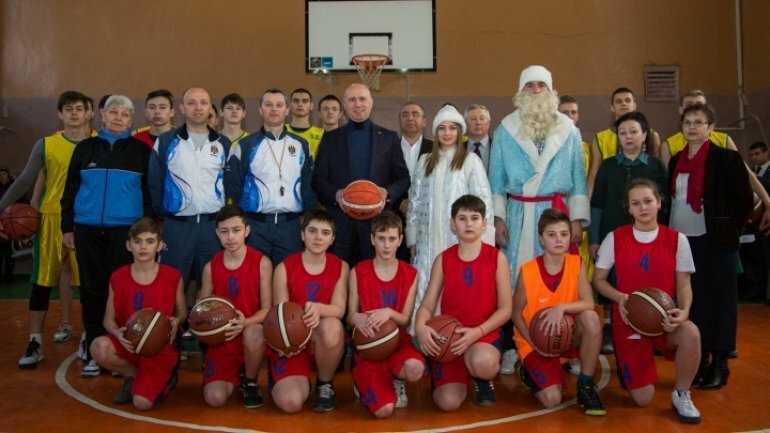 Prime Minister Pavel Filip visited the children playing for the basket team from the northern town of Dondușeni. He congratulated them for their performances, mentioning their team spirit and their tolerance for their peers of other ethnicities. Pavel Filip has recognized he is a basket fan and backs promoting the event among kids: "I have a special respect for the ones with will, who get big results with few resources. As Michael Jordan said, you can win a match with your talent, but it takes a team to win championships." The Premier has given them sports equipment. In their turn the kids gave him a ball with their signatures. Pavel Filip has also visited today the students from Drochia, who won the informatics Olympics. He has encouraged them to obtain new attainments in IT and robotics. The Prime Minister has said the Government backs the IT & C sector, as a series of policies have been promoted: "It’s only through guys like you can Moldova develop and become stronger. We’ll go on supporting the young generation and the country modernization." They insisted to show him their robots at work. Pavel Filip offered them the equipment they and they teacher needed. See more pictures at Publika.md.